Value creation for stakeholders is impacted by the group’s Purpose: Inspiring a world of difference, enabling growth and progress in society, its three strategic objectives (Deliver top quartile shareholder returns; Drive profitable growth; Instill a high-performance culture) and its responsible citizenship programme. Product responsibility is covered by our Purpose, Social/relationship capital as well as our responsible citizenship programme. Under our Sustainability value, we undertake to ‘protect the health and safety of others and ourselves’. It includes ‘We are committed to providing our customers with products and services that are safe and reliable’. Excellence, another of our values includes ‘We focus on delivering quality products and services’ and, ‘We focus on delivering value-adding solutions to our customers, always with a sense of urgency’. 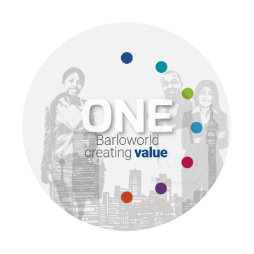 We look for principals and suppliers who demonstrate strong values and commit to the ethical principles outlined in the Barloworld Code of Conduct. Our strategic planning framework and approach are endorsed by the board and institutionalised reporting structures ensure board oversight of progress.